Here’s the thing: I walked into Hob Lob and just started piling things into my cart. Things I didn’t even really need. I was a woman possessed, my eyes were crazed, and I. went. bananas. I bought double what I needed (big oops — brought the unused half back yesterday and was not sorry at all to part with it) and I felt bad. So, Grey and I have come up with a plan for my Hobby Lobby expenditures — we’ve got a budget for me and my DIY craftiness, and I definitely felt better when half of that Fall ‘stuff’ went back on the shelves. What I did find (and kept) that day were two stick wreaths (like the one in the picture above, but a little bit thicker all-around), one larger than the other — a small one for our door, and a larger one to give away to my sis-in-law and her hubby in congratulations for their new homeownership (woo!!). I walked the aisles and aisles of flowers and found myself using a color palette that didn’t have the orange-y colors in the photo above, but instead a more brown-rust-dark-red scheme that I liked even better. I made our wreath next. For both wreaths, the total cost was about $40. 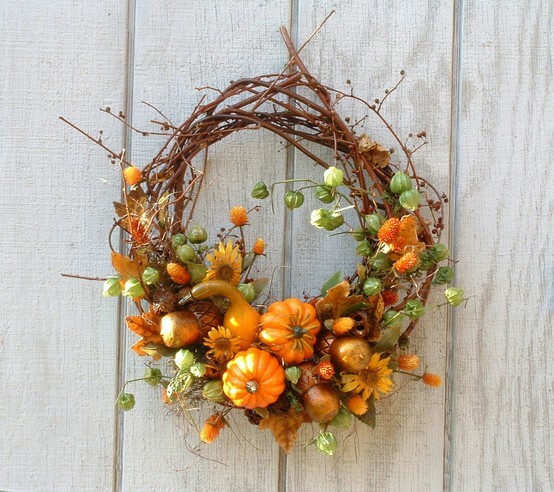 From what I have seen from stores around my area of town, a Fall wreath will cost you about $39.99 — that seems to be the general price that I have run across. There are definitely ways that I could have made this project cheaper, too — such as shopping at the Dollar Store for my add-ons (they’ve got some fun Fall stuff that would adorn a wreath quite nicely!) or really comparing prices between the craft stores for flowers, feathers, etc. 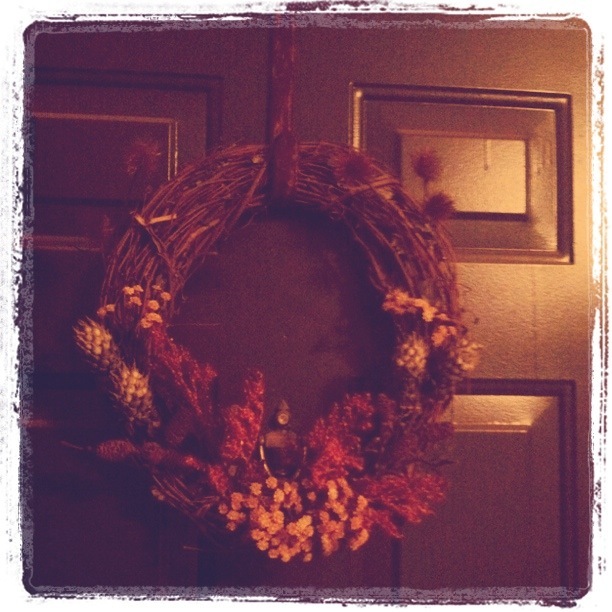 But hey, I think $20 per wreath isn’t bad at all! 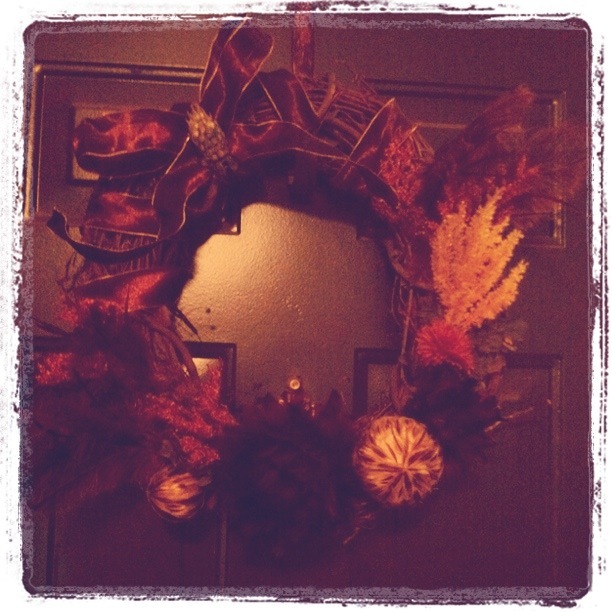 Have any of you made your own wreaths for Fall? If so, I want to see them (and share them on Kisses and Cake)! Send your work to kissesandcake1 (at) gmail (dot) com.